for submitting product information about Aqua Sphere Kayenne Small Fit Swimming Goggles - Polarized Lens We aim to answer all questions within 2-3 days. 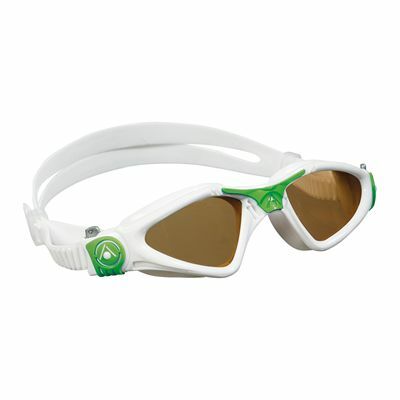 for submitting product information about Aqua Sphere Kayenne Small Fit Swimming Goggles - Polarized Lens. We aim to answer all questions within 2-3 days. If you provided your name and email address, we will email you as soon as the answer is published. The only reason these didn't get 5/5, is the shape doesn't quite fit my face as well as the Kaiman (Kaiman are a rounder fit). I really struggle to find goggles that fit well being between normal and small sizes for most brands. Aquasphere small fit provides the best fit. The polarised lenses are amazing, great for sunny OW sessions, they are a slightly darker tint than the polarised lenses found in Zoggs Predators which I prefer. If only they did a small fit Kaiman polarised? for submitting product review about Aqua Sphere Kayenne Small Fit Swimming Goggles - Polarized Lens.